A Bit of History - Hudson Livestock Supplements Inc.Hudson Livestock Supplements Inc.
Hudson Livestock Supplements™ has been developing, improving, and producing low moisture supplement blocks for three decades. The Hudson family ranches, farms, and manages thousands of cattle per year along with sheep, goats, horses, and wildlife. We are 100% vested in agriculture and take pride in saying our products are made by ranchers for ranchers. HLS™ supplements are recognized by stockman as superior products. Constantly improving our Continuous Flow Process and formulating products to meet the specific nutritional requirements of individual ranch environments and specific range conditions, our goal is to deliver each customer a product that meets their specific needs. HLS™ products are designed to furnish demanded nutritional requirements while saving the producer supplement dollars as well as total feed cost dollars. 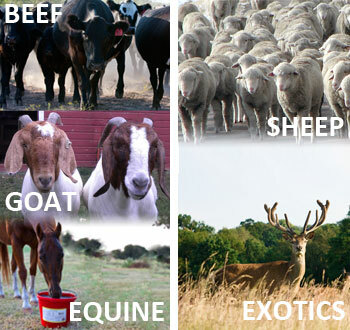 Tested and proven supplement products are available for beef cattle, sheep, goats, horses, and exotics. The superior quality and priority service that producers across Texas have come to rely on are now available throughout the 48 states. Find out why so many ranchers rely on and trust HLS™ products and service. Give us a call and let us put our products, expertise, and nutritionist to work for you.